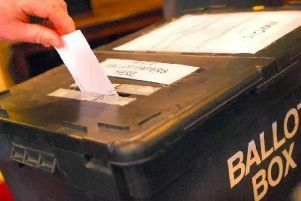 Residents have less than two weeks to make sure they are registered to vote in Peterborough City Council, parish and parliamentary elections on Thursday May 7. Voters have until Monday 20 April to register to vote and anyone who is not on the Electoral Register by then will not be able to vote. UK citizens aged 18 or over on 7 May 2015 can vote in the general election as can qualifying Commonwealth citizens. We want to make sure that residents don’t miss out on their vote because they aren’t registered. Twenty seats in 19 wards will be contested in Peterborough City Council elections on Thursday 7 May 2015. Rachel Parnell, Peterborough City Council’s elections manager, said: “The quickest and easiest way to register to vote is online at www.gov.uk/register-to-vote. “People can also come into the Town Hall in Bridge Street, Peterborough and bring supporting documents to verify their name and address either a passport or driving licence, or utility bill or council tax bill. New applications to vote by post, or cancel or change an existing postal vote, must be made by 21 April 2015 at 5pm. Applications to vote by proxy must be made by 28 April 2015 at 5pm. To be able to vote by post or proxy you must first be registered to vote.